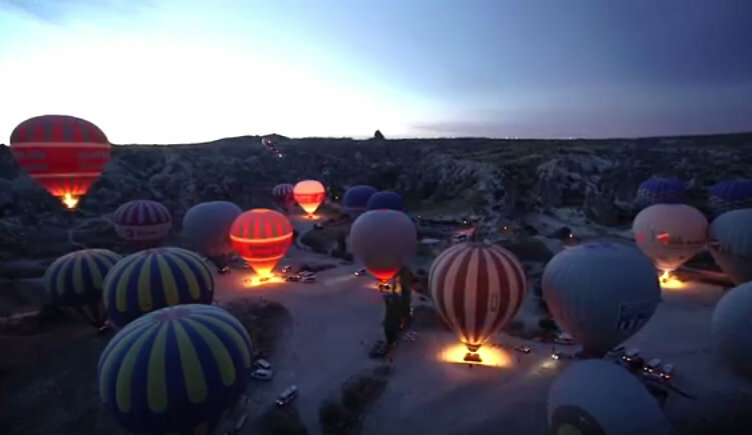 Hot air balloons are world’s oldest and quietest human flight technology. They are today a huge attraction for leisure enthusiasts and in the past, corporate hot air balloons have been used significantly as promotional tools brand/corporate awareness. 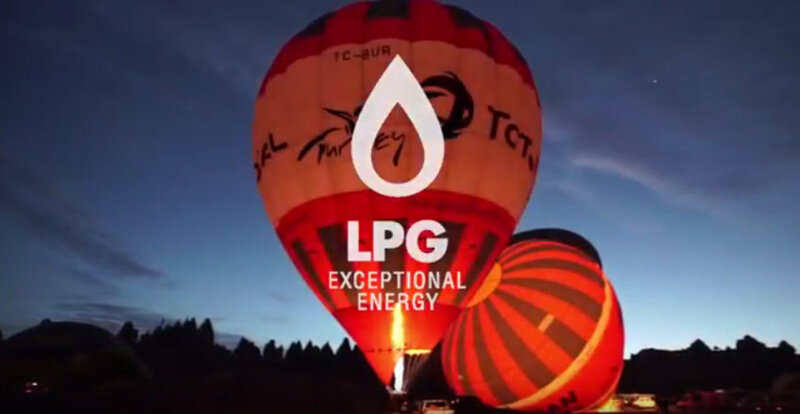 LPG is the most commonly used fuel these hot air balloons. The use of safe handling procedures ensures that LPG is a safe and efficient fuel. Commercial fuel for hot air balloons comes mostly in the form of propane but is sometimes supplied as a mixture of propane and other Liquefied Petroleum Gases such as butane, butylene and propylene. 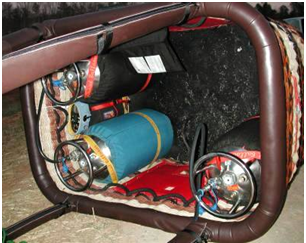 These mixtures can be used as hot air balloon fuel provided adequate fuel pressure can be obtained. To keep the balloon rising, the air is required to be reheated. Hot air balloons do this with a burner positioned under an open balloon envelope. As the air in the balloon cools, the pilot can reheat it by firing the burner. The burner uses LPG to heat up the air in the envelope to move the balloon off the ground and into the air. 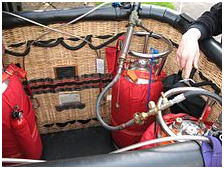 The LPG is stored in cylinders which are kept in the balloon basket, along with the passengers and the pilot. The LPG is highly compressed in canisters and flows to the burner in liquid form. When the pilot starts the burner up, the propane flows to it and is ignited by a pilot light. As the flame burns, its heats up the metal in the surrounding tubing and when the tubing becomes hot it heats the propane flowing through it. This process changes the propane from a liquid to a gas before it is ignited. The gas makes for a more powerful flame and an overall more efficient fuel consumption. The pilot must keep firing the burner at regular intervals throughout the flight to ensure that the balloon continues to be stable. Naturally, the hot air will not escape from the hole at the very bottom of the envelope as firstly, hot air rises and secondly, the buoyancy keeps it moving up. A wide variety of different burner systems are available. They differ mainly in the number of actual burners included. Hot air balloons are generally made out of a specialised ripstop nylon fabric although some manufacturers prefer to use polyester. The fabric weave is coated to give it better UV protection, make it somewhat flame retardant and to reduce the amount of air that will leak through the fabric weave (porosity). The bottom of the balloon is normally made from 'Nomex' which is a heavy weight flame retardant fabric. The balloons use a wicker basket for the passenger compartment. Wicker works very well because it is sturdy, flexible and relatively lightweight. The flexibility helps with balloon landings: In a basket made of more rigid material, passengers would feel the brunt of the impact force. Wicker material flexes a little, absorbing some of the energy. 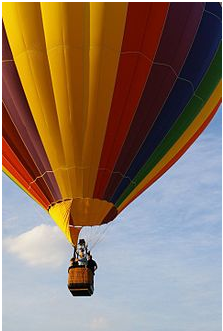 LPG is ideal for use in hot air balloons because in its natural un-burned state, it is lighter than air. LPG is a petroleum by-product that is extracted when making other oil products. This provides the argument of efficient use of an energy source.